Why should Consumer Goods and Retail Brands Opt for Artificial Intelligence Today? In today’s highly competitive business world, only forward thinking brands that quickly adapt to changes in technology can survive and excel. 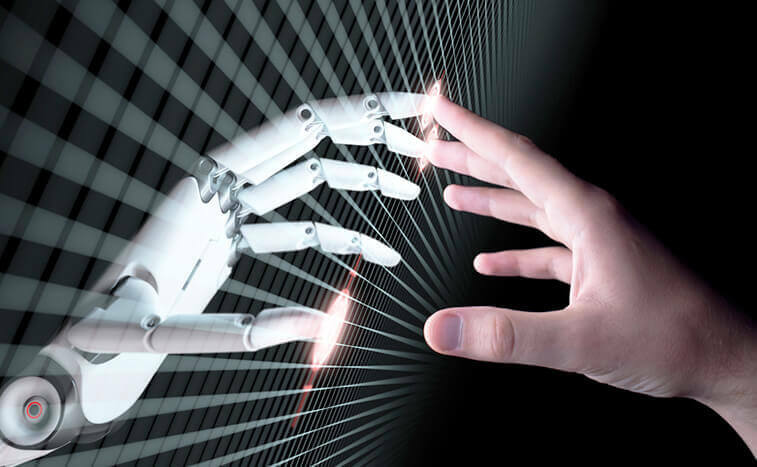 It is the era of digital experience (DX), and Artificial Intelligence (AI) is one of the primary technologies that can provide innovation and productivity in the consumer goods and retail industry. AI has been around for some time, and is now a key player in the mass market due to the availability of big data, growth of cloud computing, and highly improved algorithms developed by researchers. The time is not far when brands will have to opt for Artificial Intelligence Services for optimization, scale, automation, and survival. The cloud provides an efficient way to run AI systems as analyzing data requires a lot of storage space. Also, the availability and growth of big data along with unlimited access to computing power are creating the perfect environment for the acceleration of AI technology. This is helping computers in learning from the massive amount of data available. In fact, a Forbes study stated that the total public cloud market will grow at 22% annually i.e. from $146 billion in 2017 to $178 billion in 2018. As per a McKinsey study, AI could potentially generate an estimated $4 billion to $8 billion for the global retail economy annually, and $2 billion to $ 5 billion for the consumer goods industry. According to Forbes, majority of the IT leaders (around 81%) are presently either testing or planning to invest in AI technology. This signal is big enough for consumer goods and retail brands to anticipate the importance of AI and transform their business. AI technologies can be divided into four categories – sense, learn, reason, and act. It is a consumer-centric technology that responds using natural language and behavior, and allows computers to naturally interact through technologies that empower vision, language, knowledge, and speech. Leveraging AI capabilities can help brands create a more seamless and natural experience with consumers. At the macro level, AI technology is useful for brands in areas such as marketing, logistics, operations, finance, and call center data. Besides, AI can also be in used in data-driven hiring, data-driven sales, lead generation, inventory optimization, fraud and debt analysis, allocation, pricing and promotion, personalized recommendations, search, demand forecasting, etc. As per a McKinsey research, the potential for incremental value from AI over other analytics techniques is around 55% for the consumer goods and retail industry. Since the growth of cloud computing has played a major role in accelerating AI technology, brands should opt for cloud services from the leading cloud service providers in India along with using AI technology to provide consumers a better experience. This will help them achieve better productivity in their business and stay ahead of their competitors.